Their name is very popular among Italian music collectors because from their ashes came the commercial pop group Matia Bazar, and also among prog collectors because of their LP rarity. 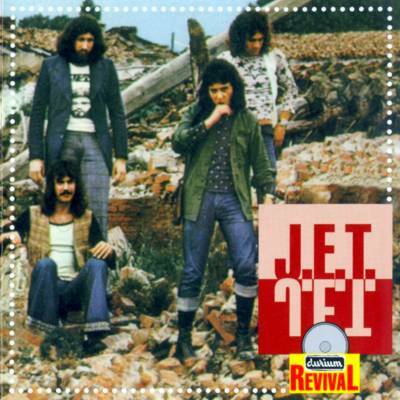 Jet (or J.E.T. as their name was usually written) were formed in Genova at the beginning of the 70's from a previous band of the same name that also included later members of another pop band, Ricchi e Poveri. 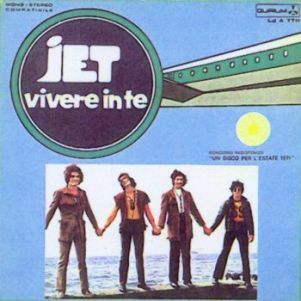 The group made their debut in 1971 at the radio contest "Un disco per l'estate" with their first single Vivere in te, and two other singles a year later, Non la posso perdonare and Il segno della pace, were still in a melodic pop style. 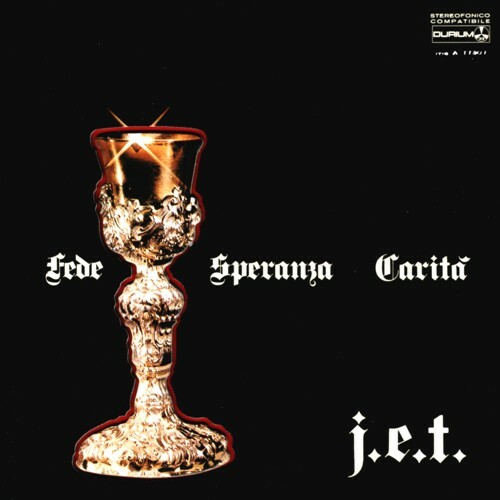 Their first album, Fede speranza carità, also in 1972, derives from a radical turn in their musical style, to the then popular progressive rock, and is a very good album, with strong hard rock influences and falsetto vocals but with nice use of organ and a solid rhythm section, as in the long Sinfonia per un re that sometimes reminds of New Trolls' multivocal parts and Il prete e il peccatore. Unfortunately this has been their only venture into prog territory, and later singles took them back to a commercial rock not particularly memorable. In 1974 the band added a female voice (Antonella Ruggiero) and a new drummer (Giancarlo Golzi from Museo Rosenbach) changing name to Matia Bazar and starting a very long and successful career that still lasts today. 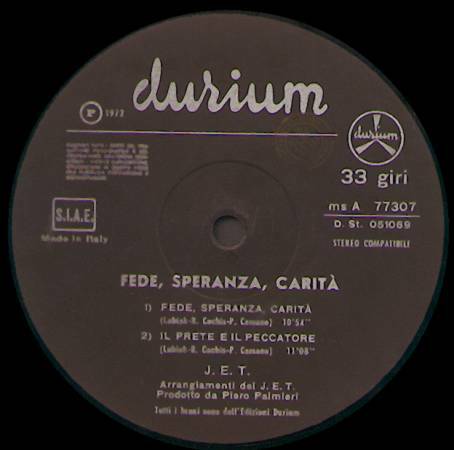 Fede speranza carità is a very rare album, on Durium label, and due to the small pressing and the delicate cover it's almost impossible to find mint copies. The gatefold cover has a cutout on the front for a thick glued-on shaped glass that's in the inner. The first italian vinyl reissue has been made in 2010, in a limited edition on AMS with a cover faithfully reproducing the original. The album has been previously reissued with the original cover design both in Japan (King K28P716) and Korea (Si-Wan SRML 2010 - only 1000 copies, later ones came with a single cover). 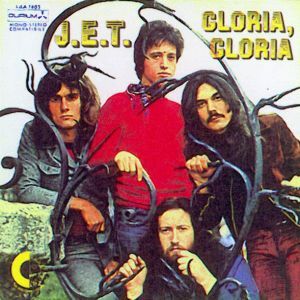 The Korean issue also includes an extra track, the ballad Gloria gloria, from a 1973 single. 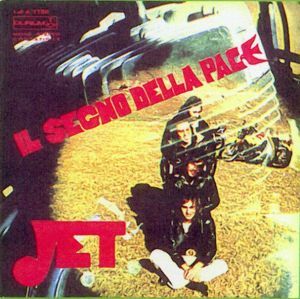 The record was reissued on CD in Italy in 1997 and again in 2019, the latter with mini-LP gatefold cover and two bonus tracks from singles, Gloria gloria and Guarda coi tuoi occhi. In 2005 a new Japanese CD official reissue (BMG Japan BVCM-37588) was released with a mini LP gatefold cover that faithfully reproduced the original. 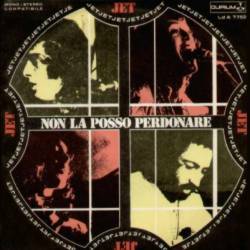 The track Non la posso perdonare was released on two different singles, in 1972. As most singles tracks this was never included on LP. The single Anikana-o/Guarda coi tuoi occhi was also issued in France by Durium (2C006-94371) with a different picture cover and in Greece (Durium D 34916) with company sleeve. 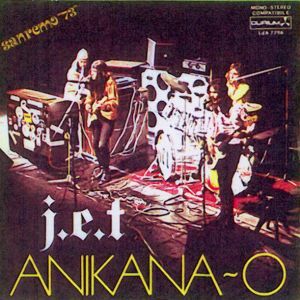 Anikana-o was also released in Mexico in a spanish language version on Gamma (no.G-1250). 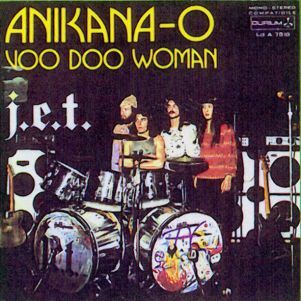 The same track, as well as its original B-side, had also been issued in Italy in 1973 in an English-sung version, retitled Voo doo woman. 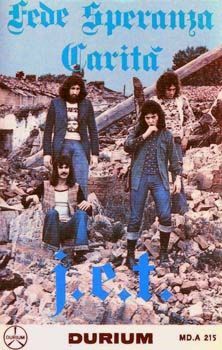 A compilation on Durium, entitled Canzoni d'estate (MS-A 77272, year 1971) includes Vivere in te and Uomo, from Jet's first single. The cassette tape version of Fede speranza carità (cat.no. 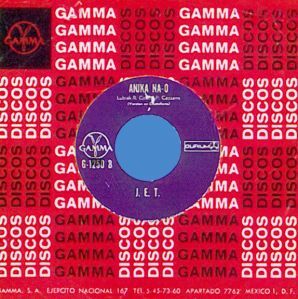 MD-A 215) is particularly interesting for the cover sporting an unreleased colour picture of the group, totally different from the LP cover design. 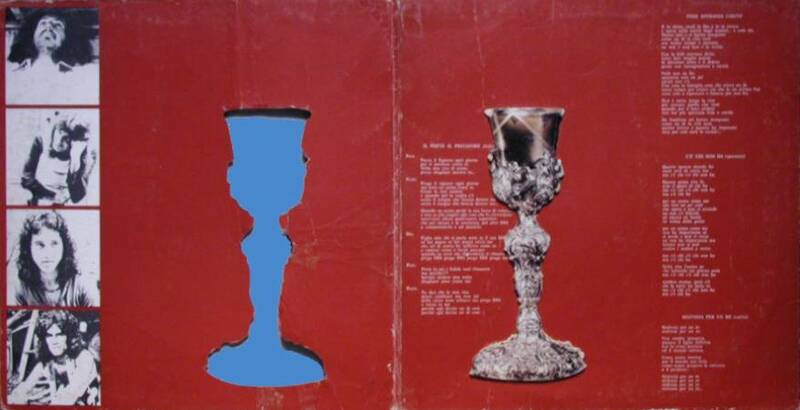 The same picture has been later reused for a budget-price CD compilation issued in 1995 and including the full album along with singles tracks. Many thanks to Mauro Degrassi and Giorgio Murillo Tsijili for some of the info and pictures included in this page.